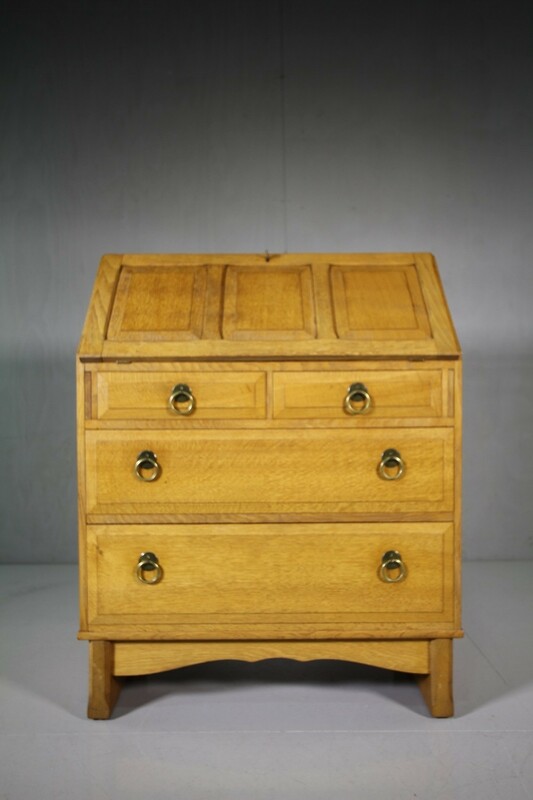 1930's Heals Oak Bureau by Arthur Reynolds. 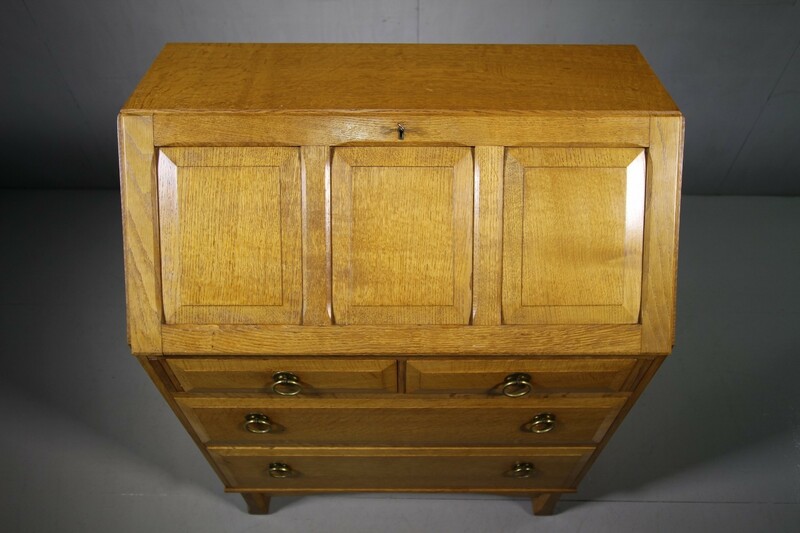 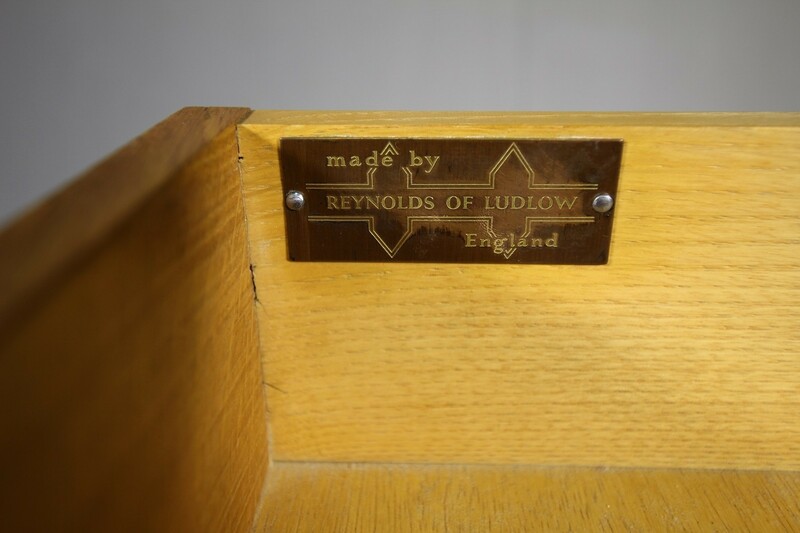 A superb quality, English solid oak bureau, made by Arthur Reynolds of Ludlow for Heals of London, the design is very much in the manner of Cotswold School. 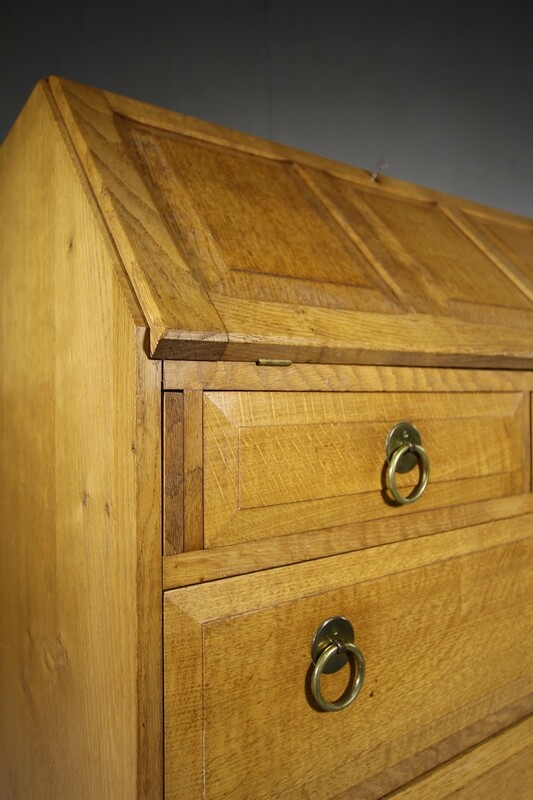 The oak timber is a lovely, pale colour, all original. 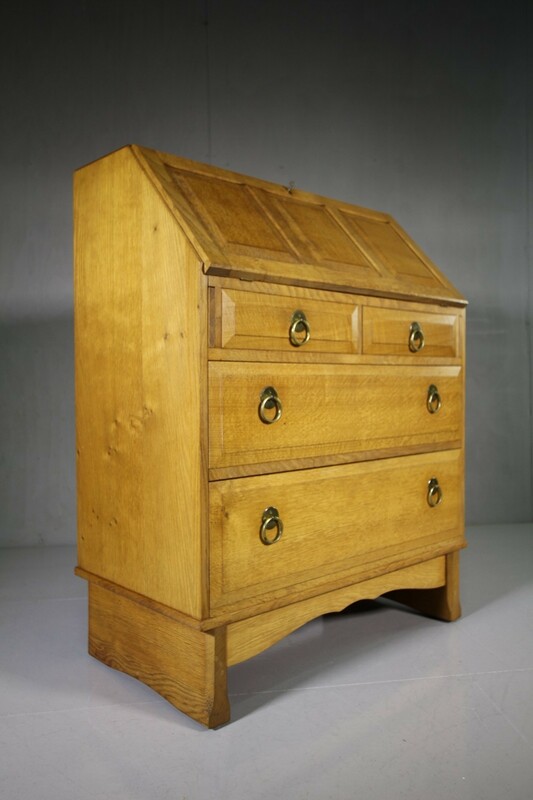 The fall on the bureau has three fielded panels, the drawer fronts have an elongated, raised panel with original brass ring handles. 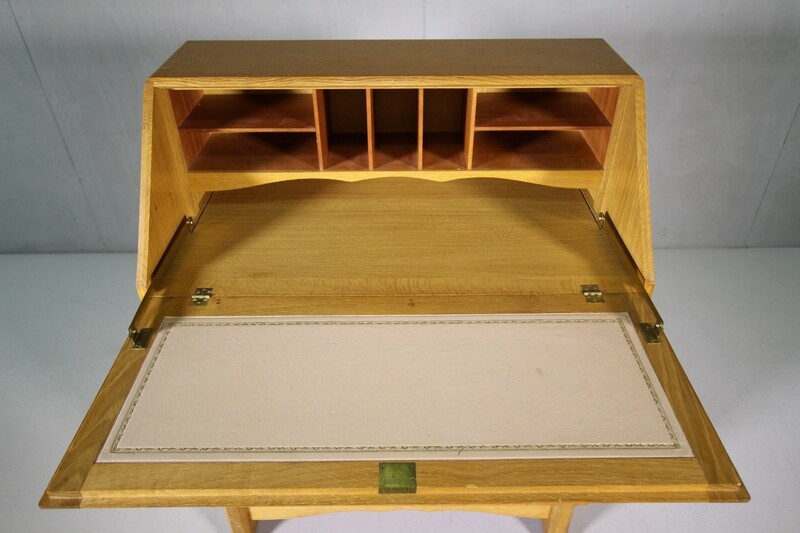 All fitted out inside along with a leather writing surface. 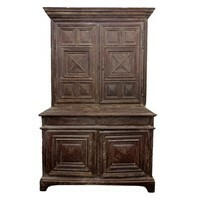 Dating from the 1930's, in excellent,clean condition throughout.